Because fit children do better academically, Partnership for a Healthy Lincoln works with Lincoln Public Schools and several other organizations to implement district-wide wellness policies to decrease obesity rates and increase fitness levels in the schools through programs that promote physical activity, good nutrition, and the forming of healthy habits. Our community-wide healthy beverage initiative works to improve nutrition by decreasing consumption of sugar-sweetened beverages through a public education media campaign, "Rethink Your Drink", and a program to establish healthy beverage options and vending policies for the workplace and other public spaces. Because breastfeeding provides lifelong health benefits for both mothers and infants, Partnership for a Healthy Lincoln coordinates a community-wide breastfeeding initiative, working with Lincoln healthcare facilities to implement consistent and evidence-based policies, education and support to pregnant and breastfeeding moms, babies, and families. To save lives and improve the health outcomes of patients, Partnership for a Healthy Lincoln works with community primary care clinics in Lincoln and the surrounding area enhancing clinical processes and patient outreach through these Clinical Quality Improvement Initiatives: Nebraska Physicians Cancer Screening Initiative, Lincoln HPV Project, and the Lincoln Diabetes Quality Improvement Initiative. Partnership for a Healthy Lincoln works to actively engage our community. We promote and support fitness and healthy lifestyles through city-wide initiatives like Fit by 2020 and our annual outdoor movement event, Streets Alive! Through collaborative grant awards, we work with existing private and public organizations to cooperate and share resources increasing the reach and effectiveness of our common health goals. Through the 3 year PICH grant (2014-2017), we helped support coordinated health improvement projects with 13 other community organizations to achieve measurable improvements in nutrition, physical fitness, and reduce obesity-related chronic disease in Lincoln and Lancaster County. 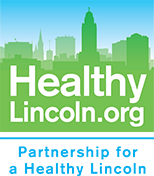 A five-year, $3.3 million federal grant, beginning January 2019, will help support coordinated health improvement projects that address significant disparities in health outcomes within Lincoln’s minority communities and low income neighborhoods, through nutrition, physical activity, and aligning healthcare providers and community outreach efforts to connect patients with health resources.